Mugs are special, right? We all have our favourite. And we don&apos;t always know why, but our morning coffee definitely tastes better when we drink from it! Here at Sugru, we believe all mugs deserve to feel special. 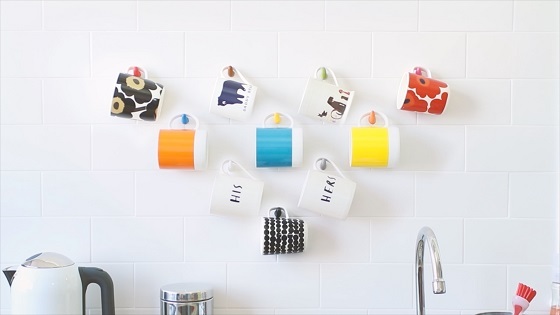 Whether you&apos;re grabbing a breakfast tea or you&apos;re taking a quick break during work, it&apos;s always handy to keep your mugs within reach. 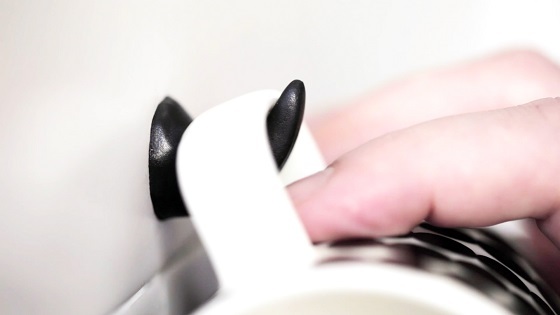 Sugru is ideal for this project because it bonds well with metals, ceramics and wood. 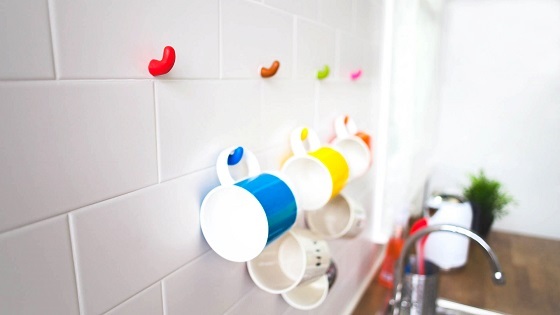 You can even colour-match your hook to your kitchen! For each hook, you&apos;ll need one single-use pack of Sugru. Step 1 – Roll your Sugru into a ball and press onto the wall. Push the Sugru firmly into the wall to create a strong bond. Step 2 – Work your Sugru into a point and gently curve the tip to form your hook. Step 3 – Once you&apos;re happy with the shape of your hook, leave to set. In 24 hours, you&apos;ll be one step closer to the perfect, organised kitchen! Your kitchen isn&apos;t truly yours until you&apos;ve added your touch. Keep reading for loads more ideas to organise your space.